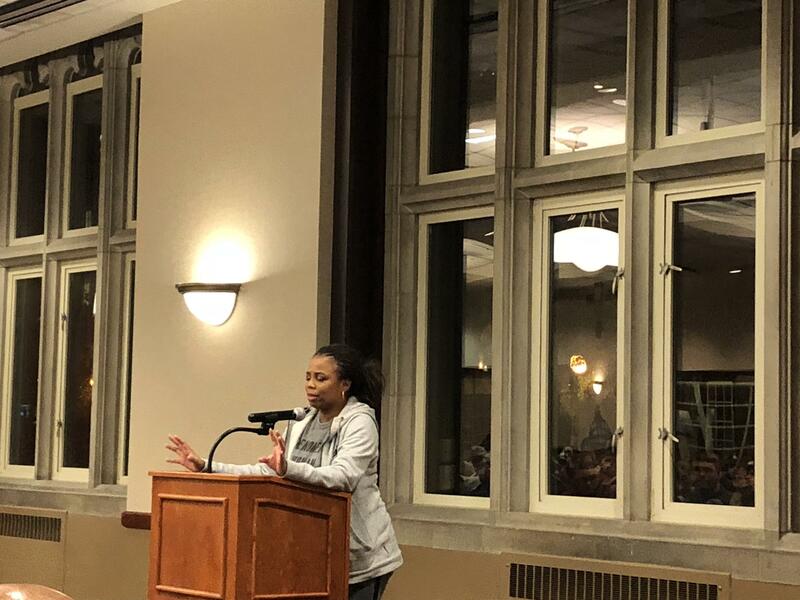 Sports journalist and former ESPN personality Jemele Hill visited Columbia Monday evening. Hill spoke at the Stotler Lounge at Memorial Union on the University of Missouri’s campus. Hill was in the news last year after President Donald Trump tweeted about her. After weeks of scrutiny in the news and on social media, Hill eventually left ESPN to join The Atlantic, another Sports Media company. She has been traveling the country recently, to talk about an array of topics. Two popular topic she speaks about are politics and sports, and how the two topics can be hard to separate. Hill says it’s hard to speak on these topics. “You have to be prepared for what you get back and that, a lot of times, is frustrating when you write about race, and gender and sports. Then people go into it with a spirit of misunderstanding. So, it’s not easy and it’s a reason why not everyone chooses to do it,” Hill said. Hill was recently recognized as the National Association of Black Journalist’s Journalist of the year, and she calls it the biggest accomplishment of her career.